By the foot of Mt. 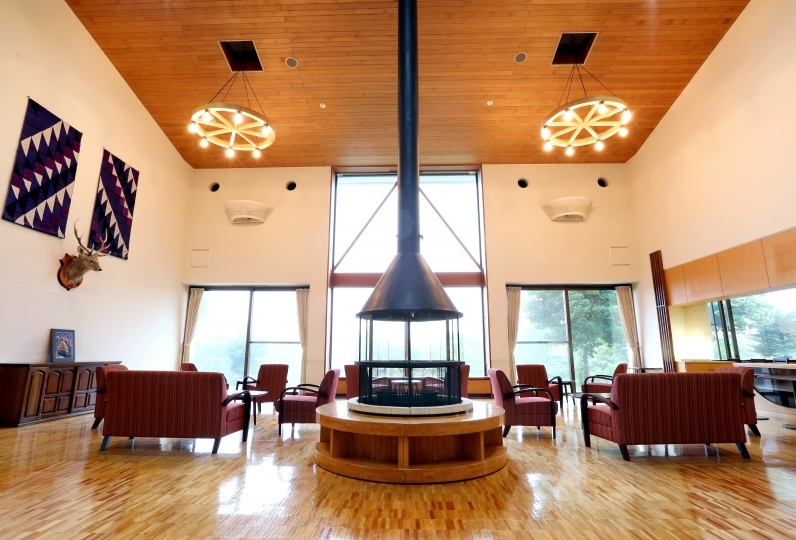 Asama, a new luxury space is located 1130m above the sea to heal the body and mind from stress: This is Hotel Karuizawa1130. In order for you to full rest your heart and body, we provide various relaxation facilities. From outside the window you can see a wonderful scenery that changes with the season. Relax in spacious rooms, a 81 square meter suit or a 56 square meter twin room, from where you can appreciate the four-season landscape with your five senses. 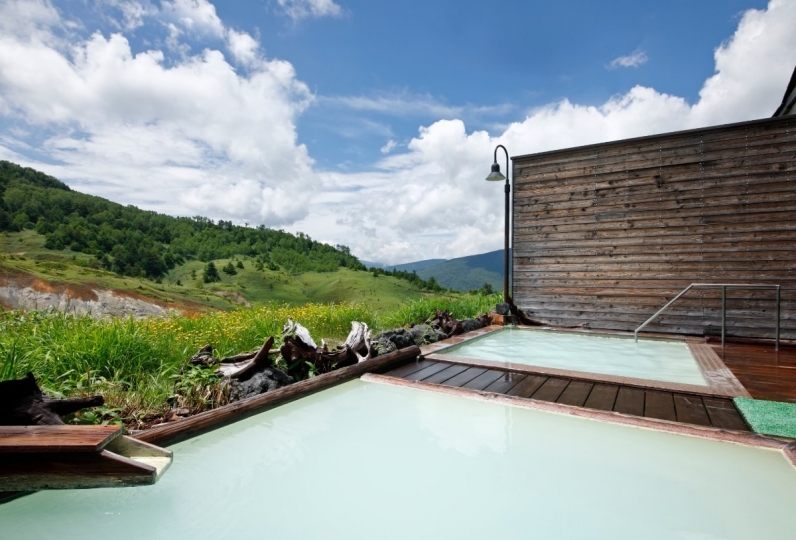 Free yourself from of all the worries in a spa with natural water while listening to the sound of trees. The fascination of this hotel is the taste of delicacies such as the local cabbage, fresh mountain vegetables, and other local ingredients. We will deliver the taste of the four seasons. 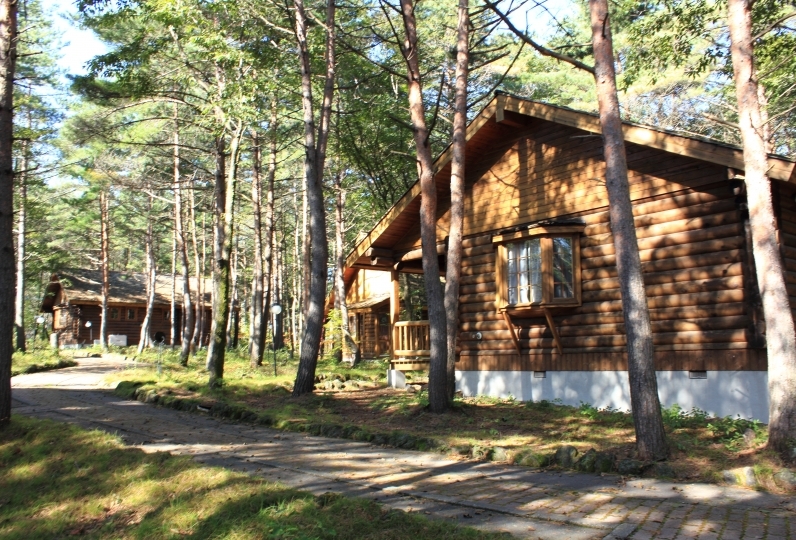 Karuizawa1130, a healing hotel standing in the plateau, will help you forget your daily bustle. Why not have a luxurious time here? We went many times, but it was the first time with bath. The room looked small for a moment, but I knew it was an open-air bath. I am glad to have a drink service. The amenities were lovely. The staff and the facilities in general were great as always. Despite the crowds, thank you for thinking about your children and making them a large room. It was very helpful. The receptionist was very polite and well informed and I was able to spend the time without stress and response during my stay. It was the first time Karuizawa, but I would like to go there again. We stayed at Christmas Eve in the room of premium 4 bed suite. The outdoor bath was very hot although it was a boiling water, but I was able to enter the jacuzzi shining while watching the scenery of Mt. Asama where it is beautiful. Employee's worry was wonderful, such as separating cold pita for employees against the family who gave out fever. 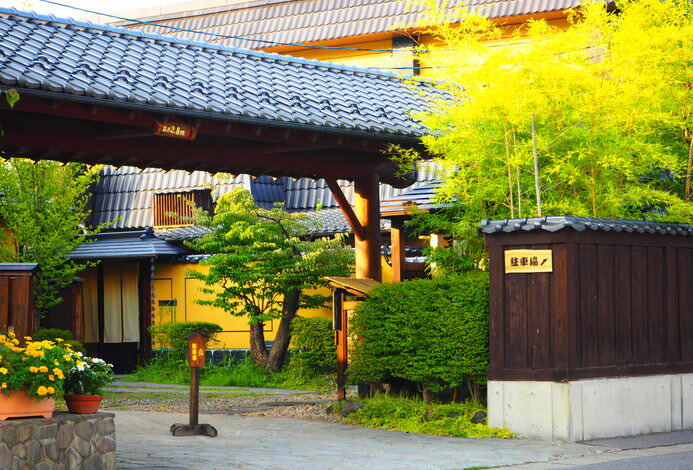 The bath in the room was wonderful, but when I tried to enter the public bath before checking out, cleaning started and I could not enter and I felt that I wanted to delay cleaning a little more. A relaxing restaurant with a welcoming atmosphere. Original French cuisine by the chef with elements of Italian or Japanese cuisine added in. Japanese cuisine made using select locally-sourced ingredients. Private dining rooms and Japanese sunken hearth seating are available. Suited for families and larger groups. A cafe/lounge with a resort-like feel: Breakfast, lunch, and bar hours. Besides assorted drinks, light meals and desserts are available. 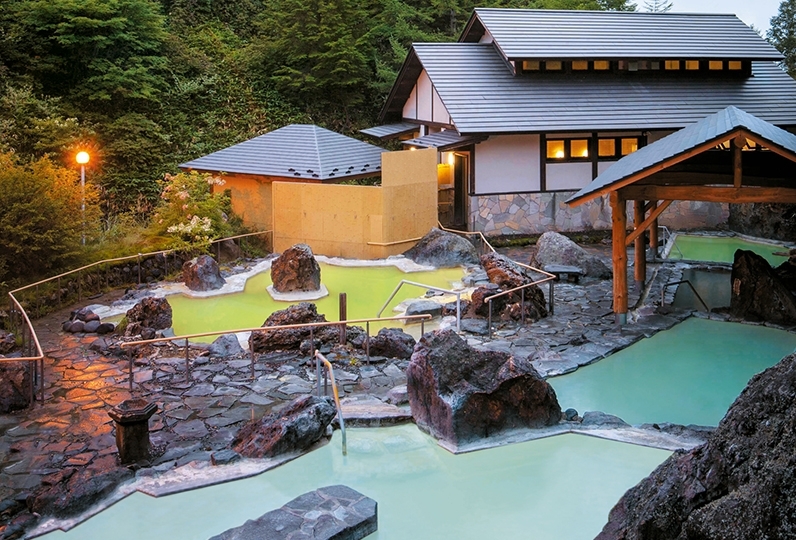 Onioshi Onsen originates from an underground source in the area around the foot of Mount Asama. Experience silky hot spring water renowned for containing properties that beautify the skin. A sunny indoor pool open year-round. Can also be used for exercises such as water walking. A Jacuzzi is available. *Aesthetic and relaxation salon "nonoka"
Offering treatments using premium all-natural skin care products with manual lymphatic drainage. 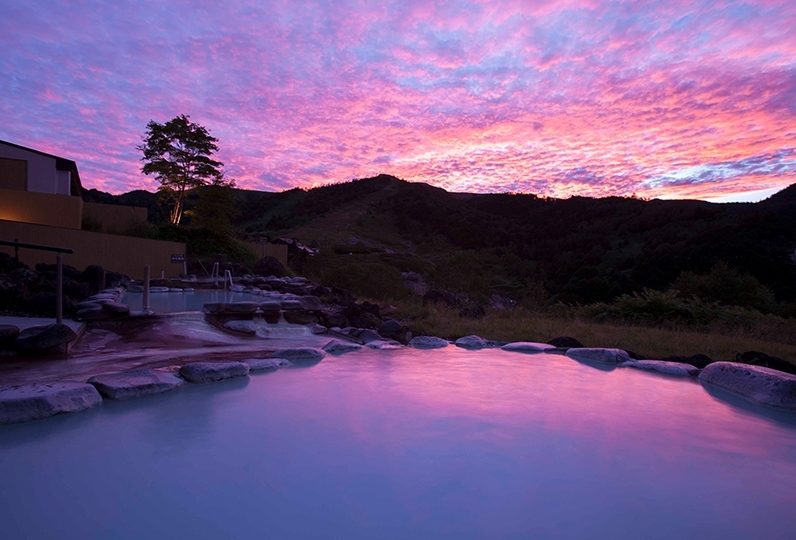 Be soothed by having a treatment after taking a soak in the hot spring bath. Tokyo: After getting off at Hokuriku Shinkansen Karuizawa Station and take a bus. 40 minutes to the hotel.